This samsa (samosa, somsa) recipe is super delicious and is very similar to samsas made in the clay oven. Except you will be baking them in your regular oven. The dough is tender and very flaky. The taste is divine, because we will be using either ghee or clarified butter to create tender layers. 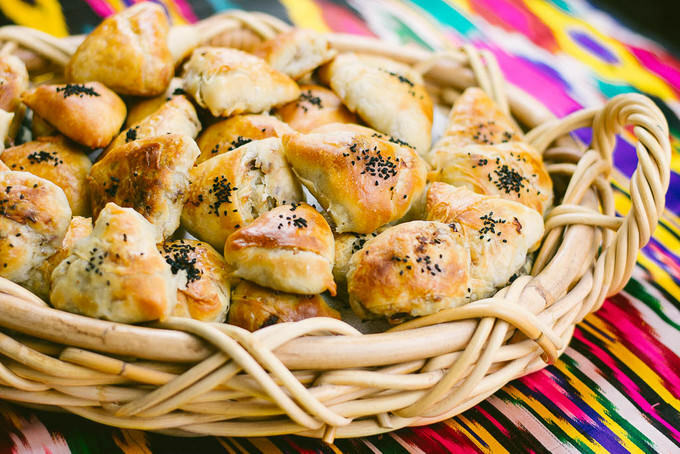 Let me introduce you to a new way of making uzbek samsa with this samsa recipe. 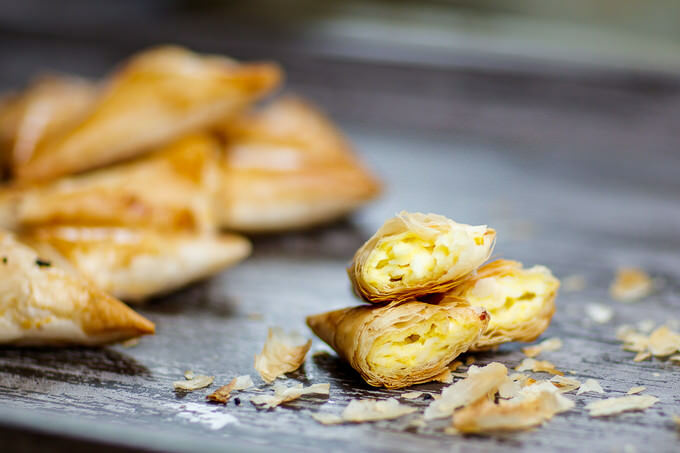 This is a super easy recipe for cheese samosa. I was craving for them for a while and decided to whip them up very quickly. I usually serve them with a jam for breakfast or make them as a compliment to soup entrees. Samosas are usually fried, but I like the baked option just as much, if not more.